How can feds help millennials buy housing? Cognizant of a looming election issue, the federal government says it intends to make housing more accessible to millennials, but how that will happen remains to be seen. Tom Storey, a Royal LePage Signature Realty sales agent based in Toronto, notes there’s a credit on the national land transfer tax and that retaining the former and eliminating the latter could be used as a springboard. 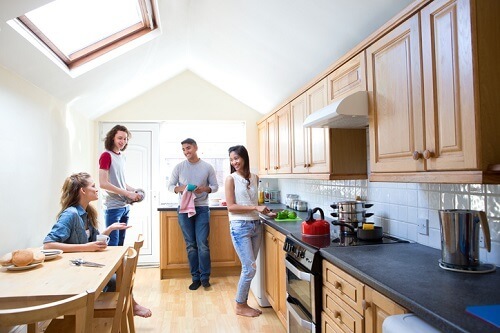 Millennials are an even larger buying cohort than baby boomers were, but they are at a decided disadvantage because of exorbitant price points and stringent mortgage qualification criteria. The latter, says Storey, discriminates against people who do not already have existing equity in a property, namely millennials. “It knocks them down an asset class, and a lot who were on the cusp of getting into the market have been kept further away from achieving their homeownership goal,” he said, adding that leniency on the stress test could alleviate some of the pressure first-time buyers are burdened by. Paul Kershaw, an associate professor at the University of British Columbia’s school of population and health told The Canadian Press this week that, while there’s no clear panacea that will make housing more affordable for younger generations, limiting zoning rules that encourage low-density housing is a start. Even with amendments to B-20 and the land transfer tax, cost will remain proscriptive for younger buyers, as elucidated by the Canada Mortgage and Housing Corporation’s housing assessment from the third quarter of 2018.